The new Picotest U6200A Universal Counter, available from Westek Electronics , is a three, fully-isolated channel counter/frequency meter providing frequency measurement from 1MHz to 400MHz on channels 1 and 2 and from 375MHz to 6GHz on channel 3. Basic frequency measurement resolution of the Picotest U6200A Universal Counter is 12 digits per second, thus permitting faster response to frequency changes. Time intervals down to 2.5 nanoseconds and up to 1000 seconds can be measured with a basic resolution of 40 picoseconds. Furthermore, the Picotest U6200A Universal Counter measures duty cycle, pulse width, rise and fall times, peak volts and will totalise pulses. Temperature stability is better than 1ppm, and ageing rate is better than 2ppm/year. Twenty memory locations are available in which instrument set-up parameters can be stored. 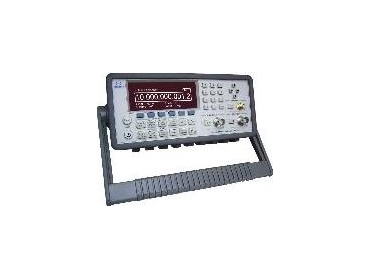 The Picotest U6200A Universal Counter has a full suite of maths functions including averaging, standard deviation and minimum/maximum values. Users can download data through a USB port, in format compatible with Microsoft Excel. The Picotest U6200A Universal Counter supports a web server function thus enabling user control through LAN. An optional GPIB interface is also available.